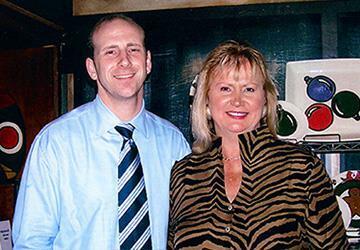 Keith Owens was practically born into Real Estate, following the path of Janice Owens, his mother and long-time Top Producing Agent in the Clear Lake Area. Since 1983, Janice Owens mentored and taught Keith the value of listening and understanding, professionalism and attention to detail, first class service and teamwork Even as a child, Keith accompanied Janice on Showings, Appointments and Open Houses, learning first hand every facet of Real Estate. Throughout Keith’s 35 years of living in the Clear Lake area, he’s had the fortune of witnessing the evolution of its’ Neighborhoods, Schools, Amenities and Market Trends, giving Keith Owens and his Team the knowledge and tools to exceed your Home Buying and Selling expectations. Keith Owens graduated from Clear Lake High School and the University of Houston, Clear Lake, giving him first-hand knowledge of the area schools that the Greater Bay Area is so very well known for. 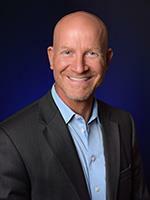 Upon graduating with a Bachelors in Behavioral Sciences, Keith began working with a nationwide Home Services company as a Operations Manager, and later as an Operating Partner, further expanding his experience with Sales and Negotiating, Marketing and Advertising and most importantly Customer Service. Keith brought these skills to The Owens Team where he and Janice worked side by side for years. Keith Owens and his wife continue to raise their children in the same schools that he attended which points to his passion for and strong belief in the quality of the Award Winning and Nationally Rated Clear Creek and Friendswood School Districts. The Keith Owens Team is also a proud sponsor of CCISD Football, Basketball, Baseball and FFA Programs. Jason Wilson, the Teams’ Buyer Specialist, has called Clear Lake his home since the 1980’s and offers over 20 years of experience in the fields of sales, education and customer service. 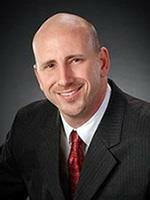 Jason brings a compassionate approach to real estate that is helpful when buying and selling homes. Jason is raising his children in the same award winning CCISD schools so he can better assist buyers in their search for the right home and school. In addition to his MBA, Jason brings knowledge, passion for the area, unsurpassed service and experience that carries through to all of our clients. Throughout the past 4 decades, The Owens Team has been fortunate to serve generations of Buyers and Sellers in every Area, Price Range and Neighborhood including: Clear Lake City, Seabrook, Taylor Lake Village, El Lago, Nassau Bay, League City, Kemah, Clear Lake Shores, Friendswood, Houston, Pearland, Galveston County, Deer Park, Dickinson, Santa Fe, Alvin, Webster, La Porte. Custom Homes, Waterfront Homes, First Time Buyers, Luxury Homes, Acreage, Vacation Homes, New Construction, New Homes, Executive Homes, Land, Move-Up Homes, Relocation, Retirement Properties, Townhomes and Condos, Historic Homes, Investment Properties, Foreclosures and Short Sales.